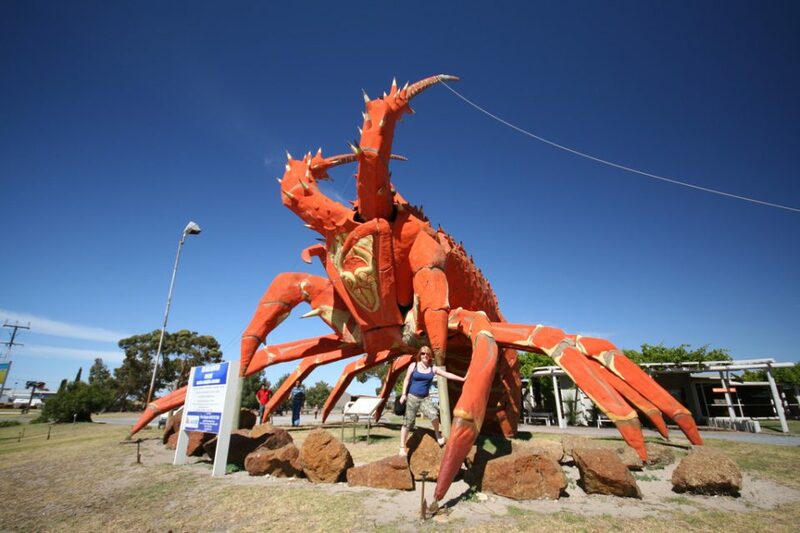 Unlike Australia’s wildlife, the weird and wondrous ‘Big Things’ scattered across the Land Down Under aren’t deadly… unless one falls on you. Some say the Big Things – which began to sprout up in the early 1960s – were inspired by similarly supersized sights in the U S of A. Don’t suggest that to a red-blooded Aussie, however: the Big Things have become points of national pride. 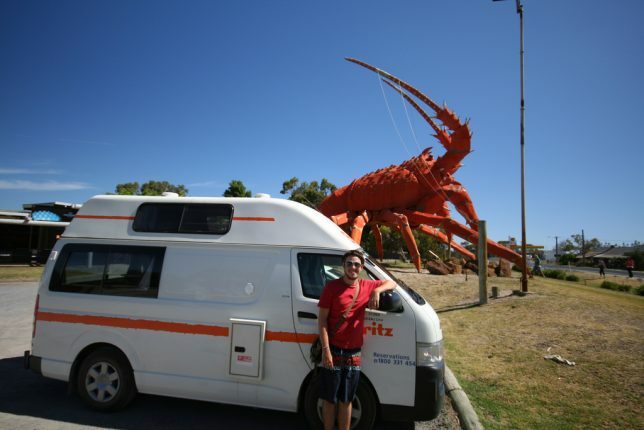 Take “The Big Lobster”, a 56×49×43 ft (17×15×13 m) replica of a spiny lobster located in Kingston, South Australia. 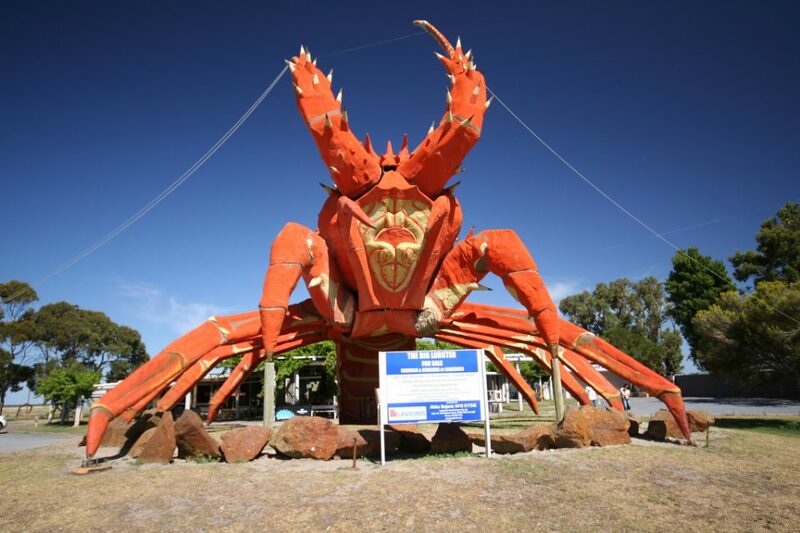 “Larry”, as the sculpted crustacean is popularly known, was built in 1979 and wasn’t supposed to be that big. 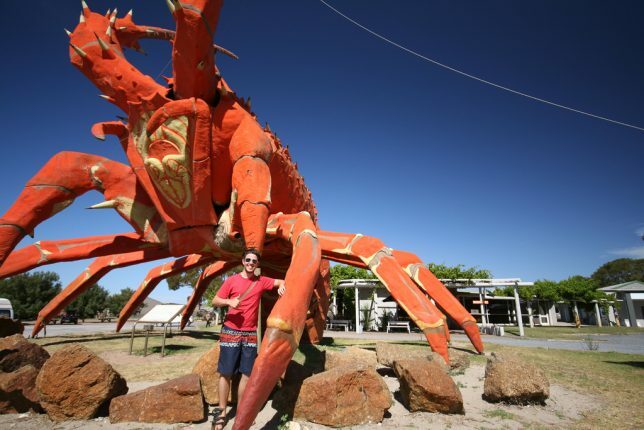 It seems that designer Paul Kelly thought the original plans were denoted in meters when they actually specified measurements in feet, resulting in a monster-lobster over three times the size originally called for. Heh, and you thought that sort of thing only happened in movies like This Is Spinal Tap. Kudos to Flickr member Fiona Thompson (faithmonsoon) for posting these photos of Larry in early 2009. Oh, and that guy with the van is totally NOT a MARTA bus driver on vacation. 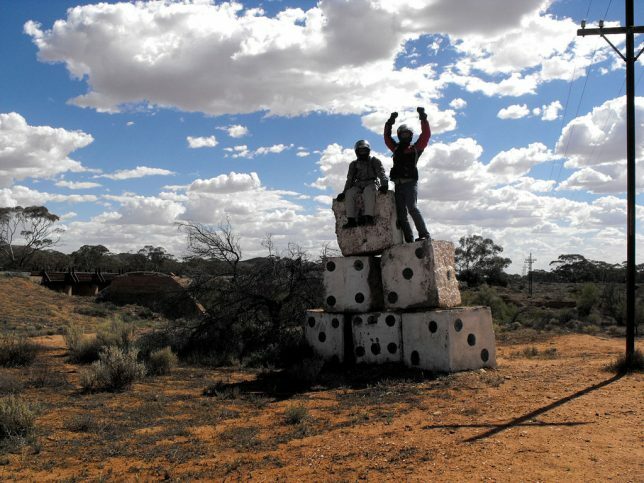 OK, so the Big Dice located just off the Barrier Highway between Yunta and Mannahill in South Australia aren’t all that big but you’ve gotta admit, they’re way, WAY bigger than actual dice. Also, seeing Snake Eyes in Australia is usually a bad thing – or at least, the LAST thing you’ll ever see. The painted concrete dice are rather roughly cast and wouldn’t make very good dice even if someone was big or strong enough to roll them. No matter, the Big Dice are a legitimate roadside attraction and besides, there’s not much else to see between Yunta and Mannahill. 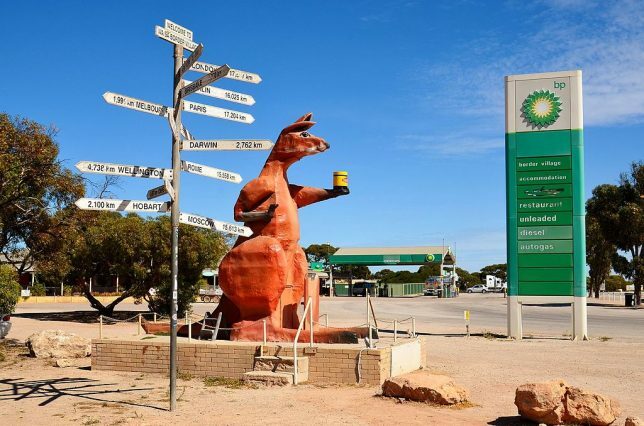 The Big Kangaroo stands 16.4 ft (5 m) tall at Border Village, on the border between South Australia and West Australia. 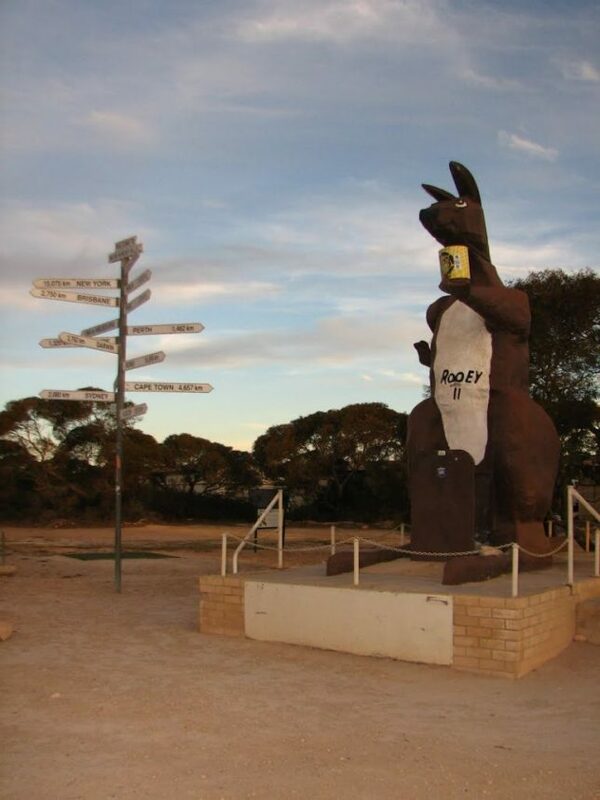 Named “Rooey II“, the papier-mache and fiberglass statue was built in 1986 to capitalize on traffic going west to Perth where the America’s Cup yacht race was being held. Been a tad quiet since then. Rooey II sports a more natural reddish-brown makeover in the second photo dating from April of 2017 yet still holds a beer (or is that a jar of Vegemite?) tightly in his outstretched left paw. So much for being natural… then again, this is Australia.